Officials with Starz and Anchor Bay Entertainment announced this week that the companies will release Spartacus: The Complete Series this fall. Ultraviolet edition of the box set will come in two formats. 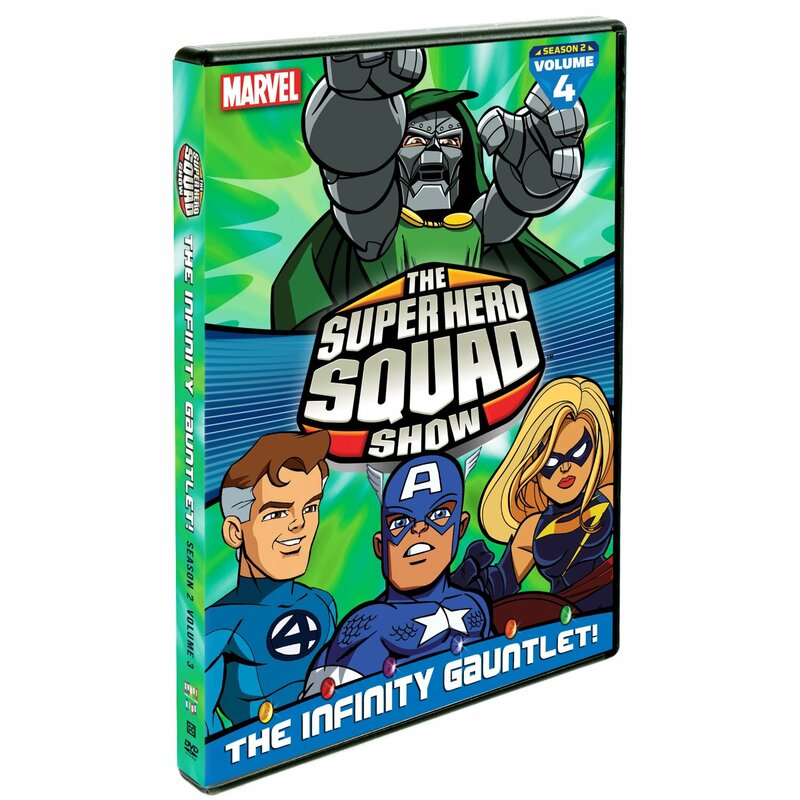 The first format will include three new audio commentaries for the series’ first season. The other will include a Spartacus collector’s figurine. All three of the box sets include a handful of bonus material. That bonus material is listed below. Spartacus originally starred Andy Whitfield in the series’ leading role. Whitfield would then be replaced in Seasons Two and Three by Liam Mcintyre. Also featured throughout the series are: John Hannah (The Mummy, Four Weddings and a Funeral), Peter Mensah (300, The Incredible Hulk), Manu Bennett (30 Days of Night), Nick E. Tarabay (Crash), Dustin Clare (Underbelly), Dan Feuerrigel (Home and Away), Simon Werrells (The Wolfman) Todd Lasance (Cloudstreet), Cynthia Addai-Robinson (Flashforward), and Lucy Lawless (Xena: Warrior Princess, Battlestar Galactica, Parks and Recreation). 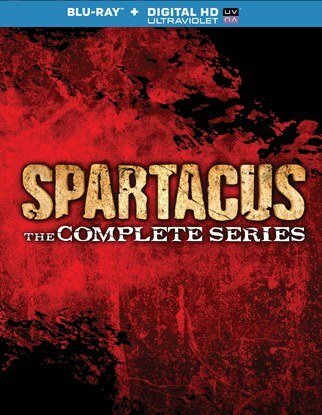 The standard definition box set of Spartacus: The Complete Series retail for SRP of $119.98. Blu-ray+Digital HD with Ultraviolet set will retail for $149.99. 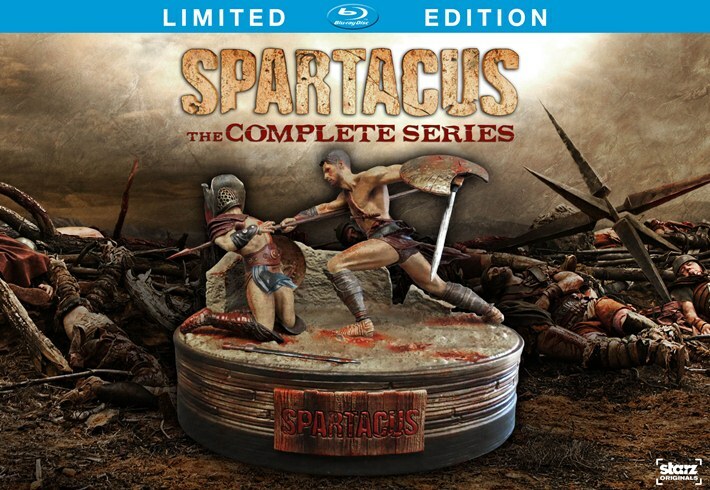 The Blu-ray+Digital HD with Ultraviolet and bonus Spartacus collector’s figurine will retail for SRP of $199.99. More information on the upcoming release is available online at http://www.facebook.com/spartacus.starz, http://www.starz.com/spartacus, and http://twitter.com/spartacus_starz. To keep up with the latest sports and entertainment news and reviews, go online to http://www.facebook.com/philspicks and “Like” it. Fans can always keep up with the latest sports and entertainment news and reviews in the Phil’s Picks blog at https://philspicks.wordpress.com. From Up On Poppy Hill is a surprisingly interesting work from Hayao Miyazaki. This latest re-issue of the story from one of the masters of modern Japanese anime stands out among the masses as it strays from the typically standard fantasy tales to which viewers have become accustomed from the anime film genre. It also boasts an equally surprisingly enjoyable soundtrack. And thanks to the new Special Edition re-issue, fans of this modern anime classic will get even more out of the story than in any previous release. When set next to the other factors that play into the movie’s success, they come together to make a movie that any anime fan will appreciate no less with each watch. The most commonly held belied about the anime genre is that its stories are centered in fantastical worlds with stories of equal level fantasy. From Up On Poppy Hill completely breaks that mold, opting instead for a more real world situation that is sure to keep even the least of anime fans engaged throughout the story’s toughly ninety-minute run time. The story in question centers on two young high school teenagers living in Yokohama, Japan in 1963. Both children had lost their fathers when they were much younger. This leads to a long-held secret that shocks both youths. And because of just how real the situation is, it will surprise viewers just as much. The reality of the story makes it so much easier for viewers to suspend their disbelief in watching the story unfold. Audiences will appreciate the included booklet with story notes written by both Hayao Miyazaki that is included with the upcoming Special Edition re-issue of the movie. The booklet in question adds even more insight into the movie, and is highly recommended reading before watching the movie. It’s just one of the bonus features included in the Special Edition re-issue that anime fans will find to be an especially worthwhile addition to the overall package. It explains both the original story’s concept and its evolution into the story that viewers will have before them in the movie’s Special Edition. The story behind From Up On Poppy Hill is a very touching and moving tale. Despite the fact that its main characters are teens, even adults will appreciate the story of the two youths who were ironically enough brought together as a result of a war that tore apart so many families’ lives. It makes for one of Miyazaki’s more interesting stories. Just as interesting as the story is the story’s soundtrack. The largely swing-jazz heavy soundtrack is quite surprising considering the music that backs most of the film maker’s other works. It fits, though. This story came right on the early edge of the 1960s. So the jazz movement that marked the 1950s still had some life. It adds one more extra touch to a story that already stands out among so many other anime features and helps to make the movie that much more worth the watch. The music and the story together work quite well in keeping viewers engaged from start to end in From Up On Poppy Hill. There is one more aspect of the movie’s upcoming re-issue that anime fans will appreciate in taking in this modern anime classic. That aspect is the collective bonus features included in the movie’s Special Edition. The Special Edition includes not only the movie on DVD and blu-ray, but also in both English and its original Japanese presentation. There is also an interview with director Goro Miyazaki included in the set’s bonus features that will both entertain and enlighten viewers. In the nearly twenty-minute interview, Miyazaki discusses the comparison of the Yokohama that was created in this movie versus the real one. He laughs as he discusses how those that lived in the real Yokohama disputed so many of the designs intended for the movie. It leaves him laughing. And it will leave viewers laughing, too. In one of the interview’s more moving moments, he becomes introspective in discussing what life must have been like for those that lived in the real Yokohama during the 1960s. He discusses the importance of getting a feel and respect for what life back then was like. It shows that while Miyazaki has a sense of humor, he also is human and has emotions. That would explain why From Up On Poppy Hill is more than just another anime movie. It’s a movie that although it’s anime, has heart and is worth at least one watch whether one is an anime fan or not. 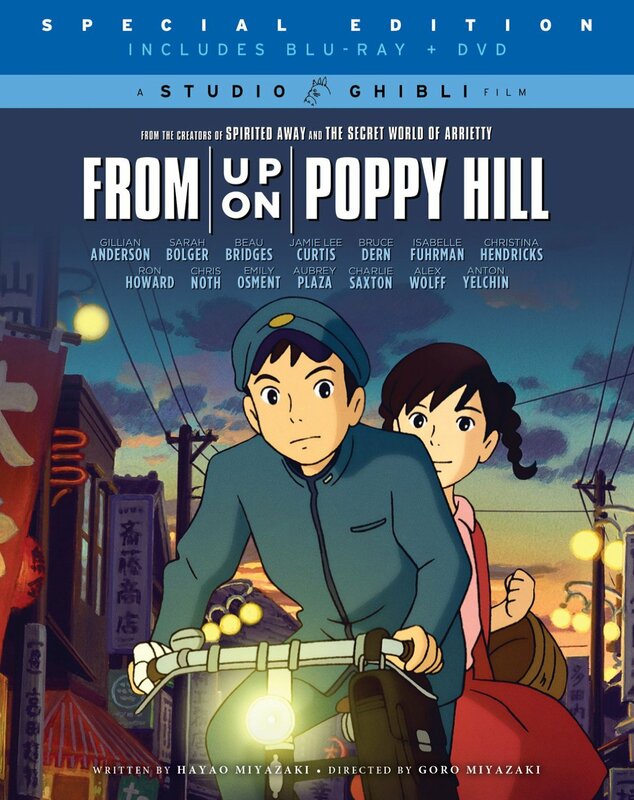 It will be available September 3rd from GKids and Studio Ghibli and can be pre-ordered via Amazon at http://www.amazon.com/Poppy-Hill-Blu-ray-Combo-Pack/dp/B00CSYRHG6/ref=sr_1_2?s=movies-tv&ie=UTF8&qid=1377654658&sr=1-2&keywords=from+up+on+poppy+hill. Audiences can find out about even more films from GKids online once they’ve pre-ordered From Up On Poppy Hill at http://www.facebook.com/GKidsfilms and http://www.gkids.tv/films. To keep up with the latest sports and entertainment reviews and news, go online to http://www.facebook.com/philspicks and “Like” it. Fans can always keep up with the latest sports and entertainment reviews and news in the Phil’s Picks blog at https://philspicks.wordpress.com.